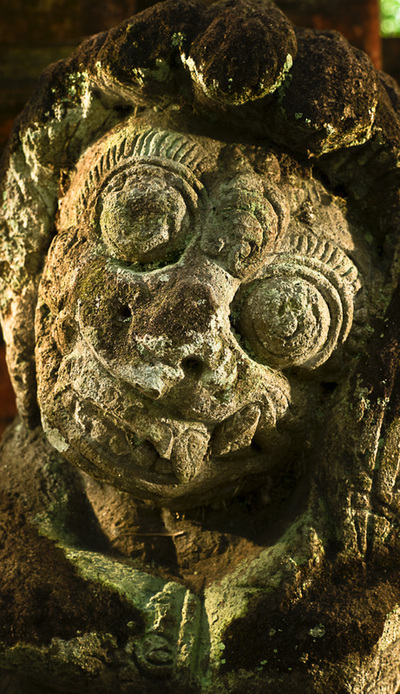 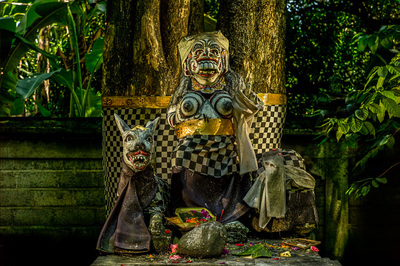 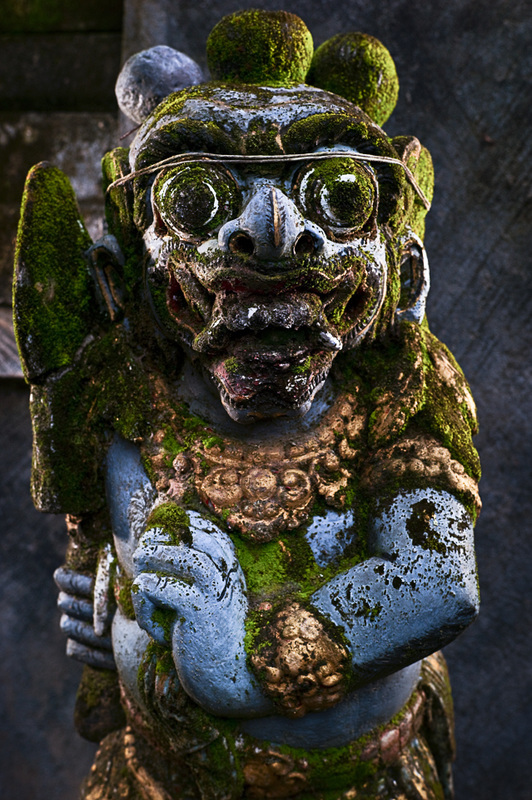 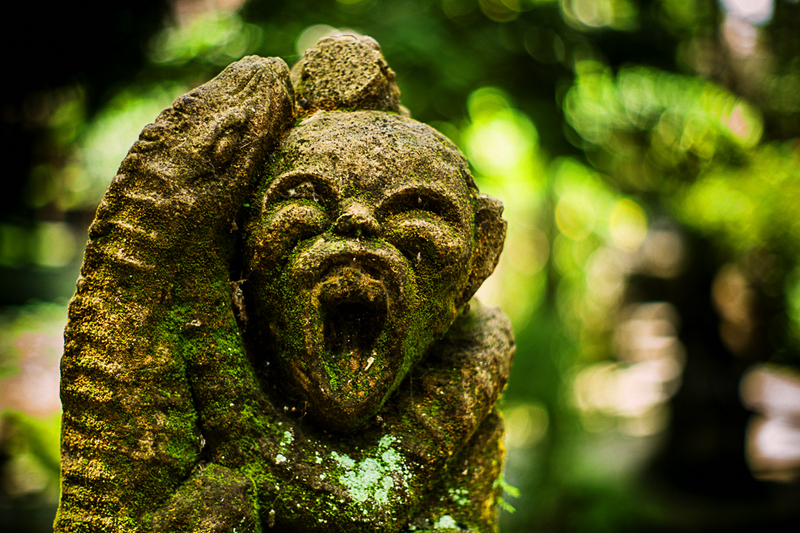 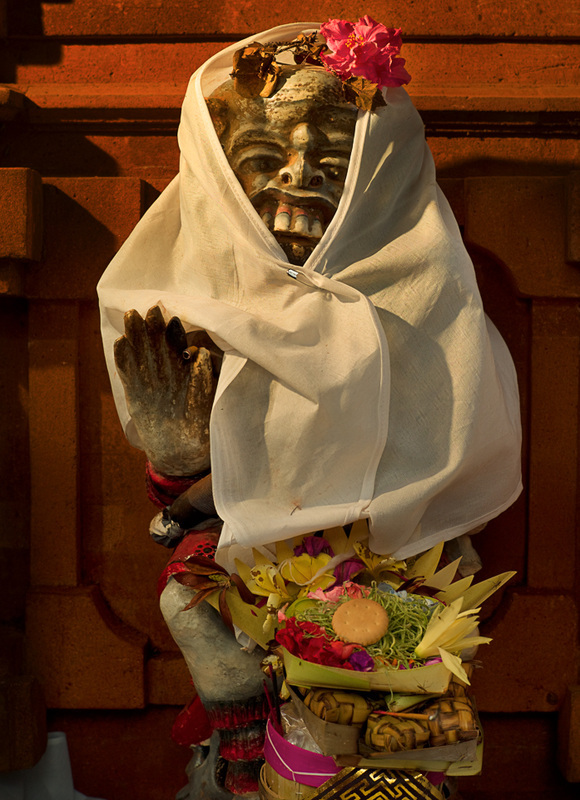 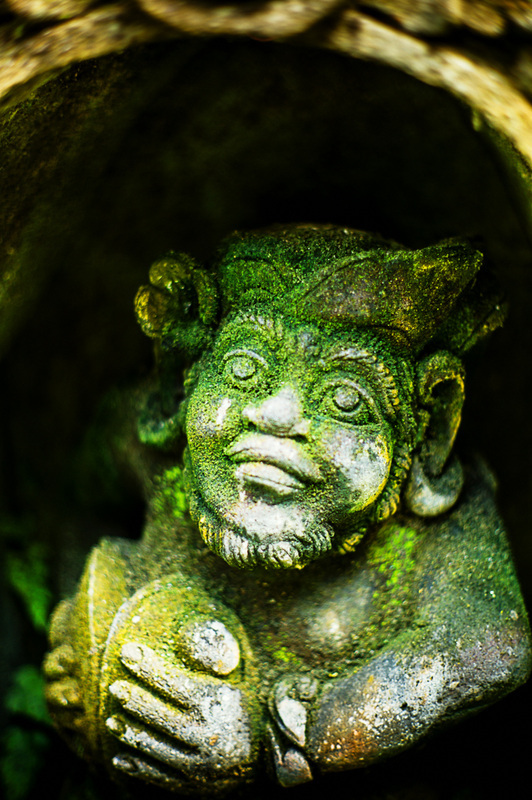 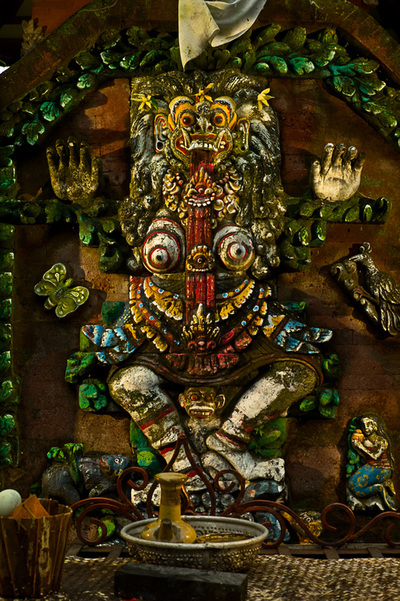 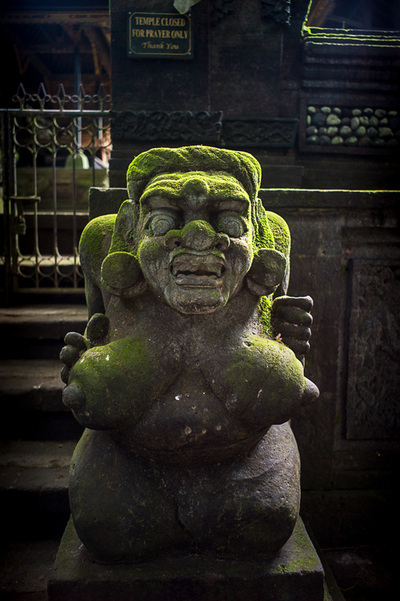 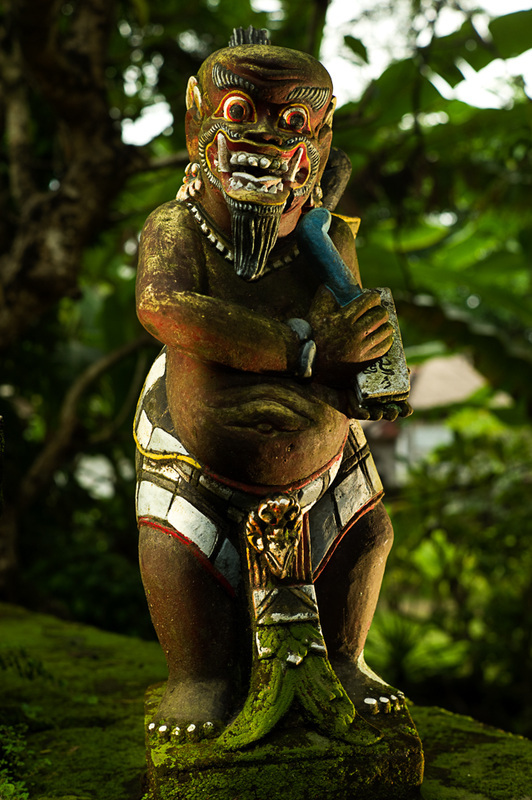 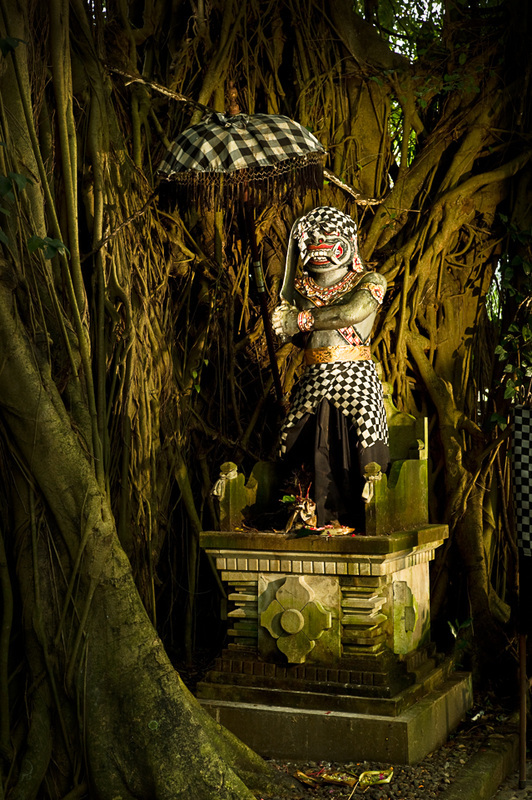 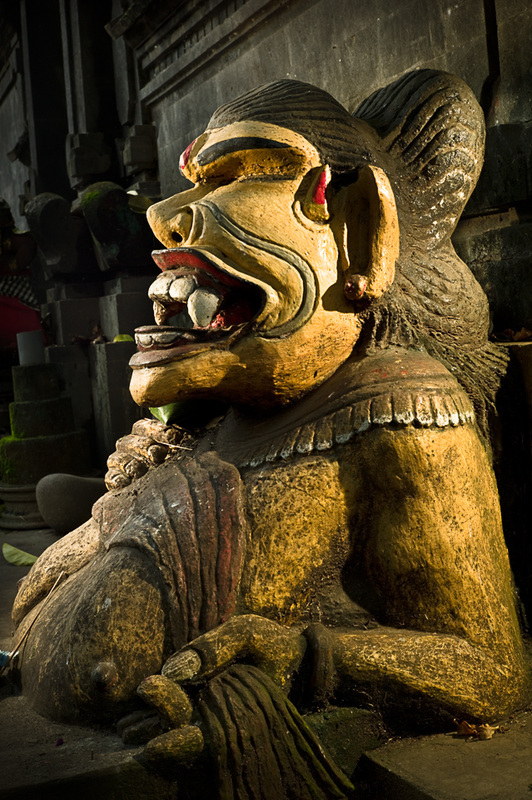 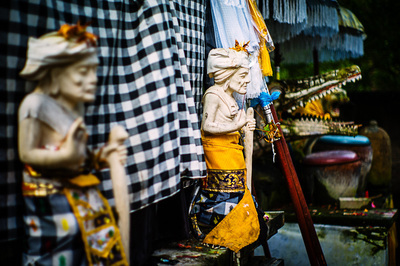 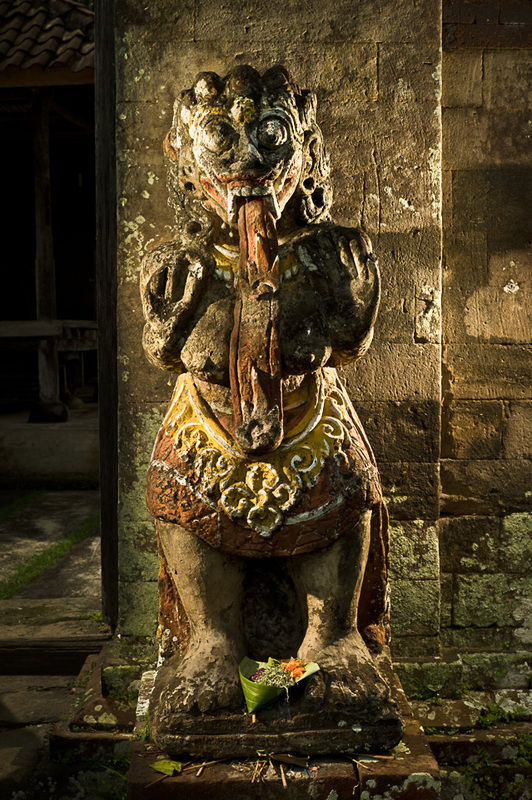 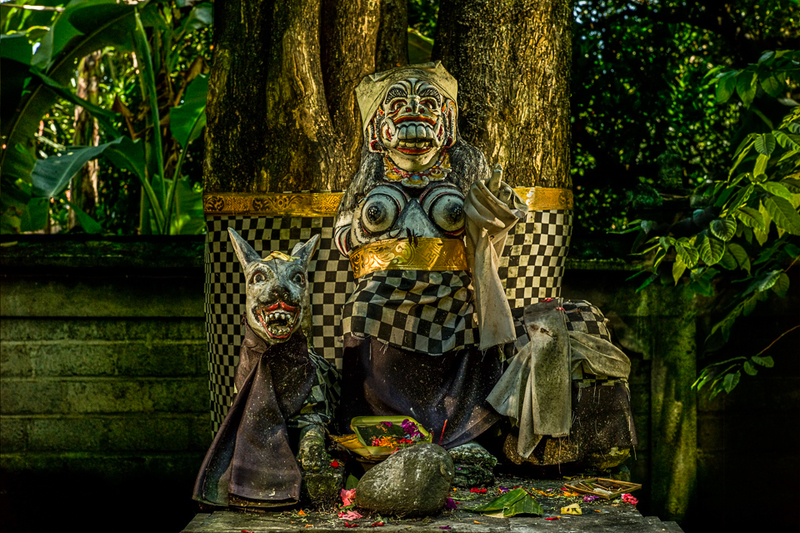 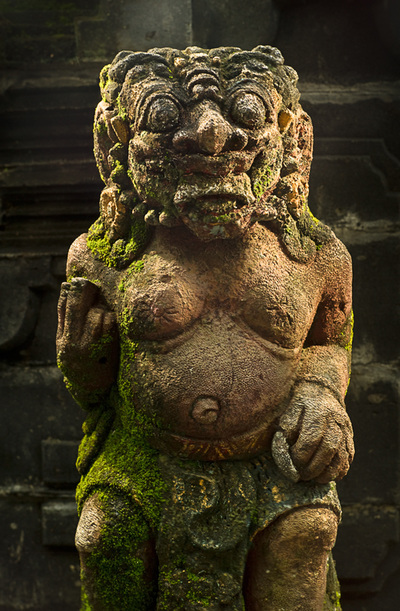 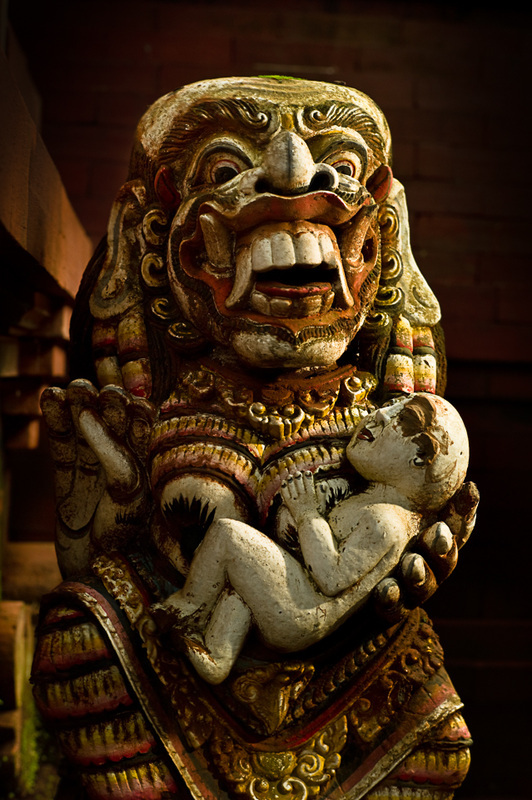 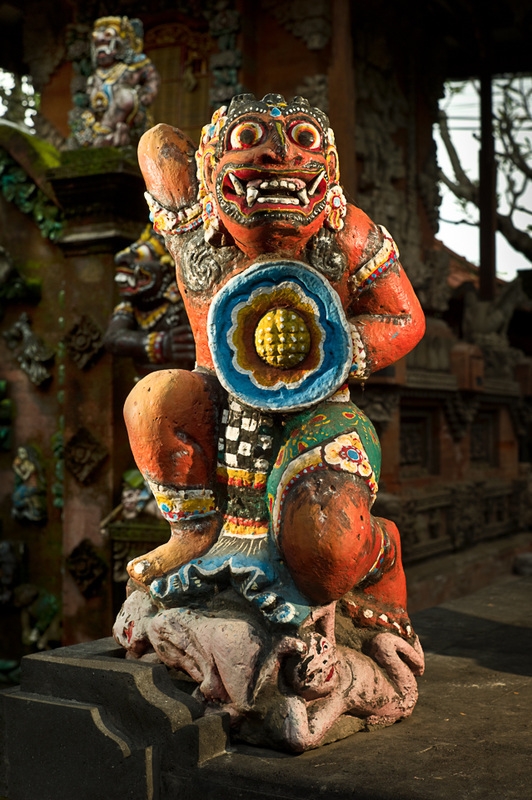 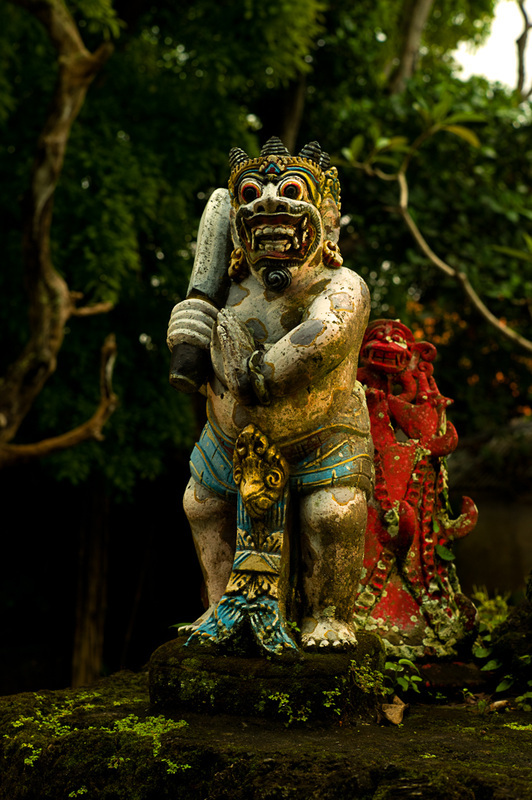 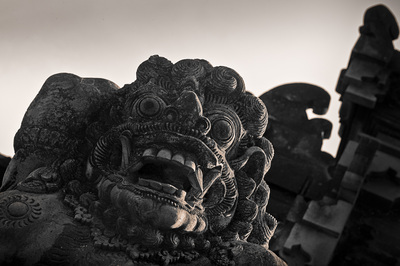 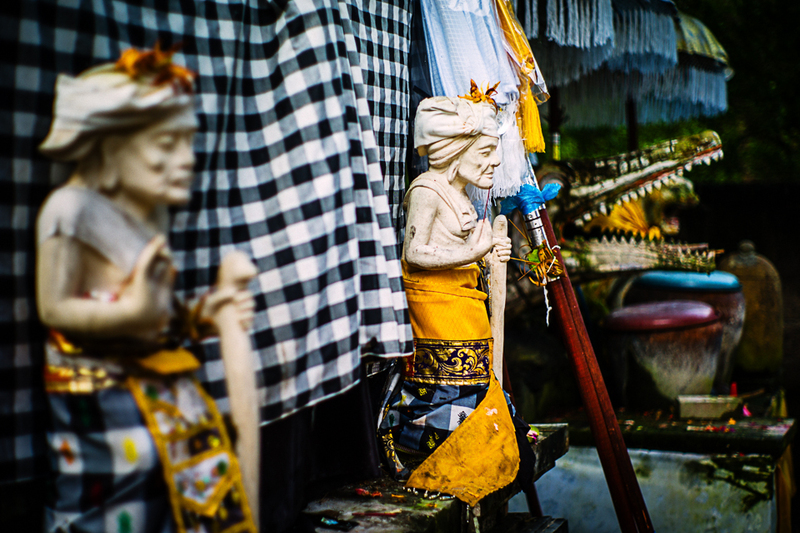 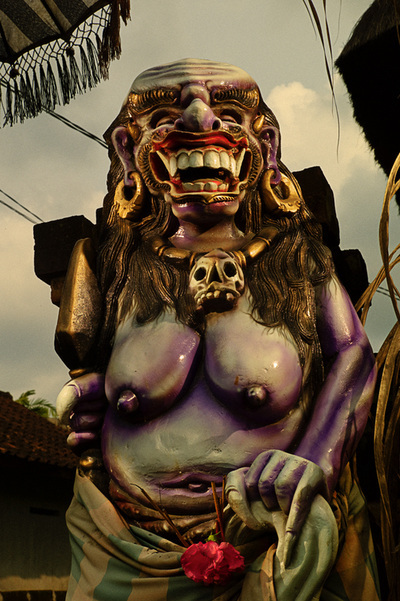 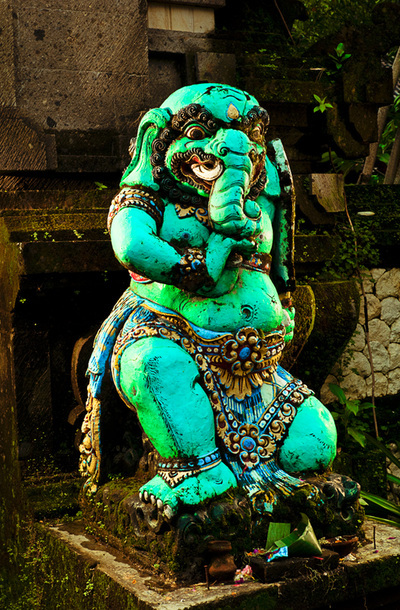 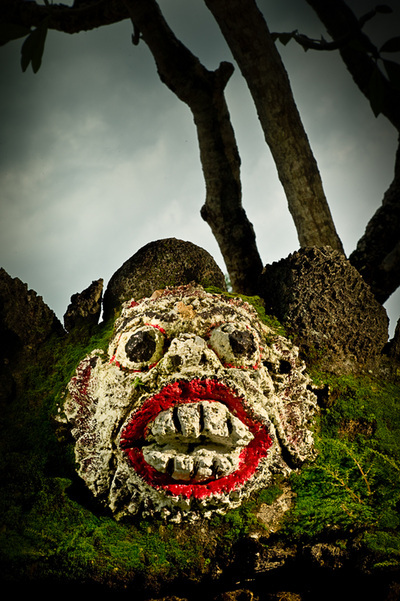 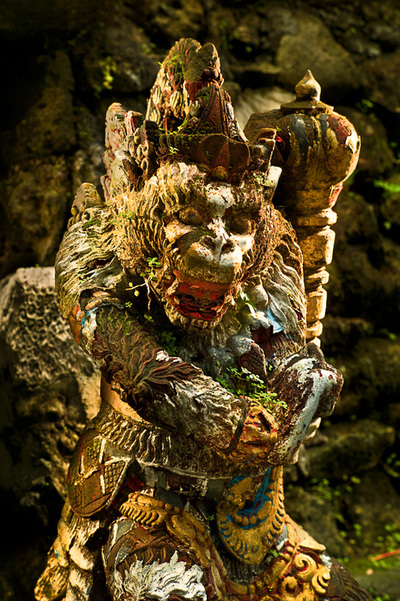 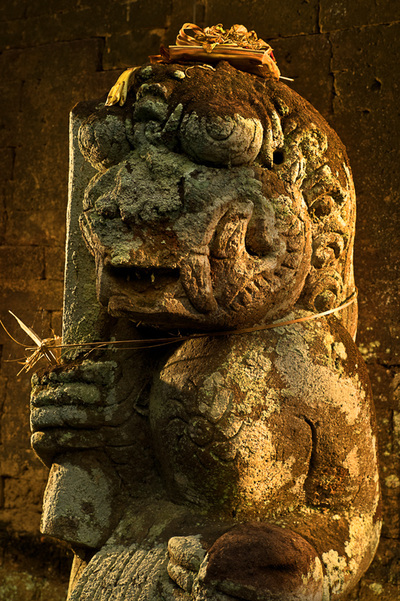 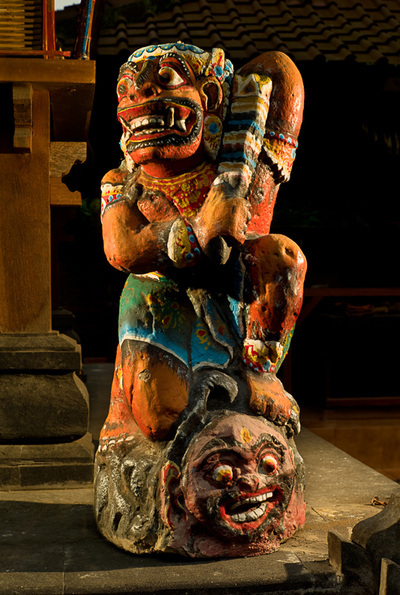 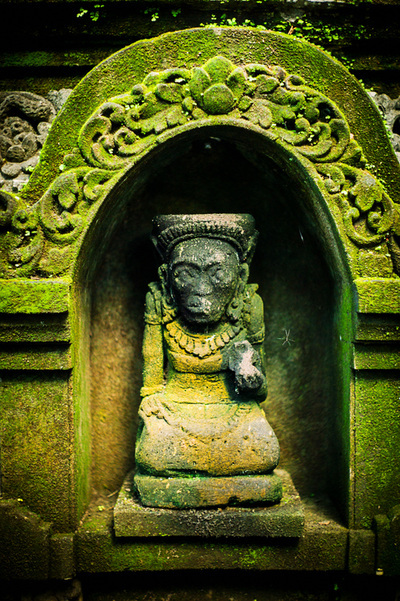 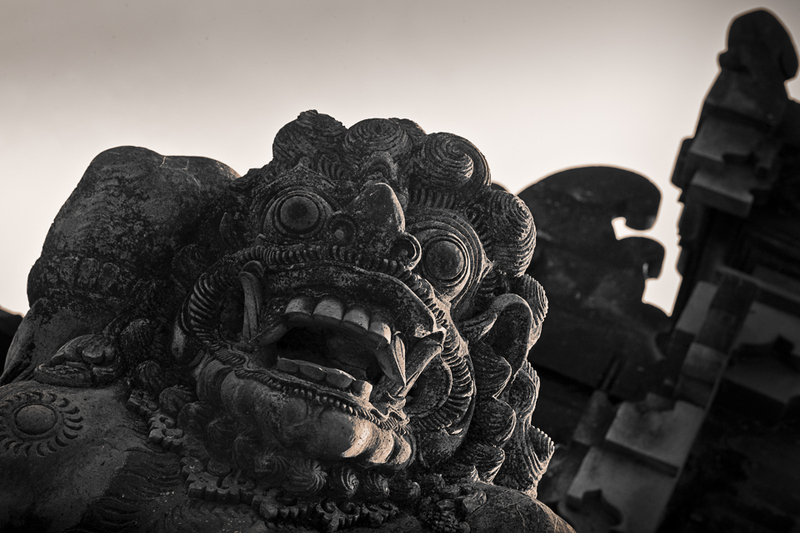 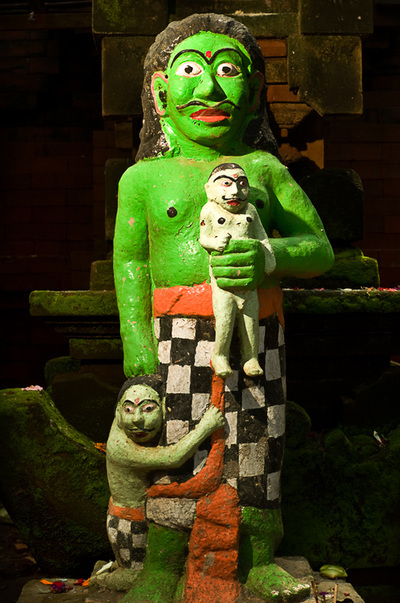 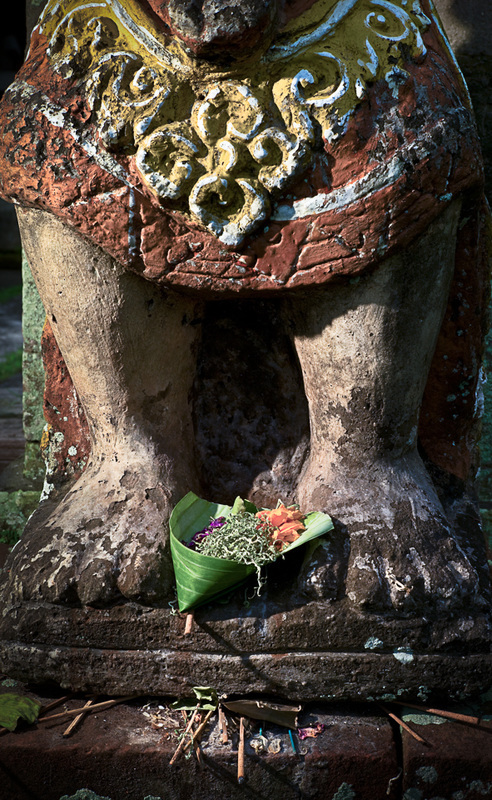 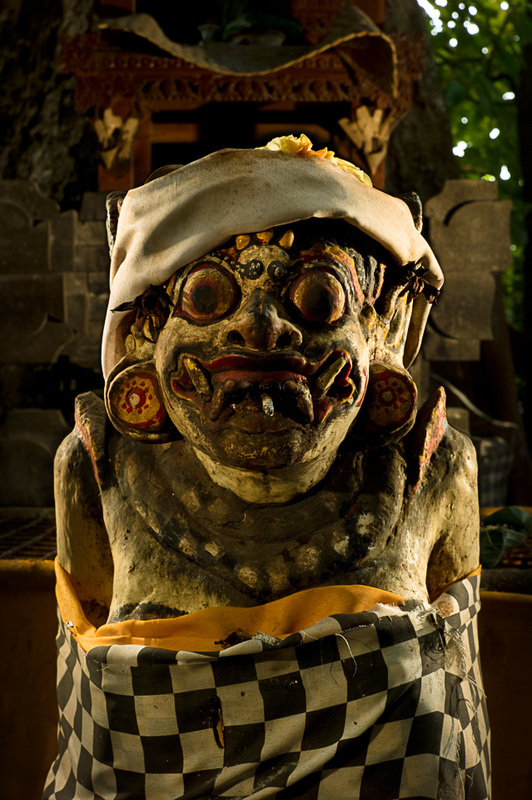 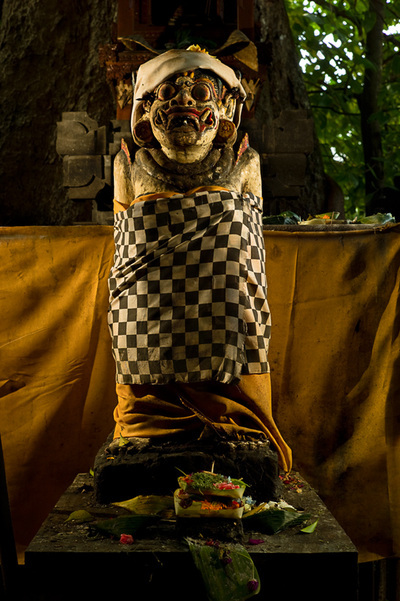 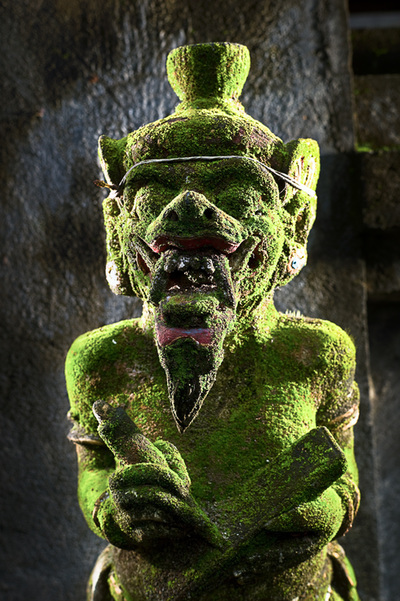 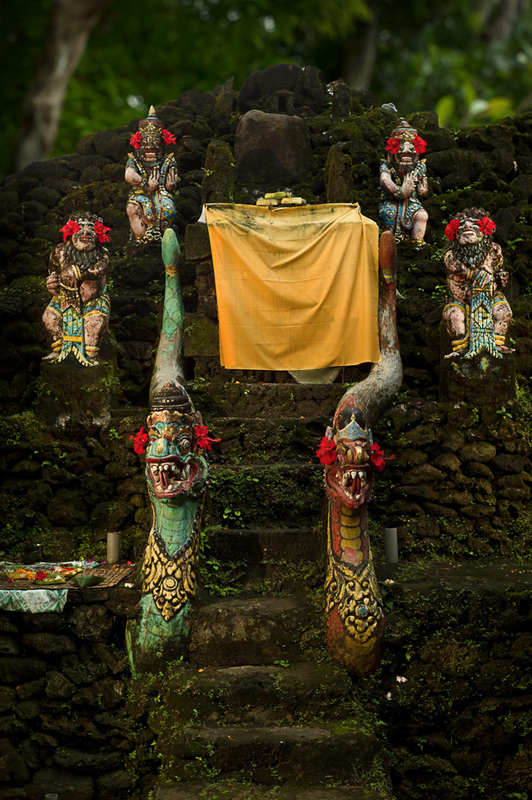 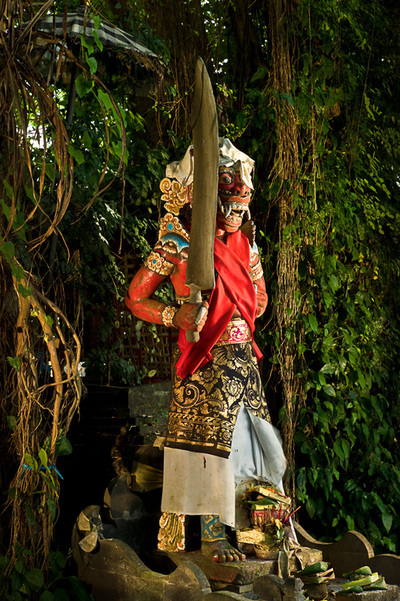 Each and every temple on the Island of Bali, be it a village temple or a personal family temple possesses sculpted statues of different deities of the Balinese mythology. Some of these sculptures are very basic in design while others are beautifully carved works of art. 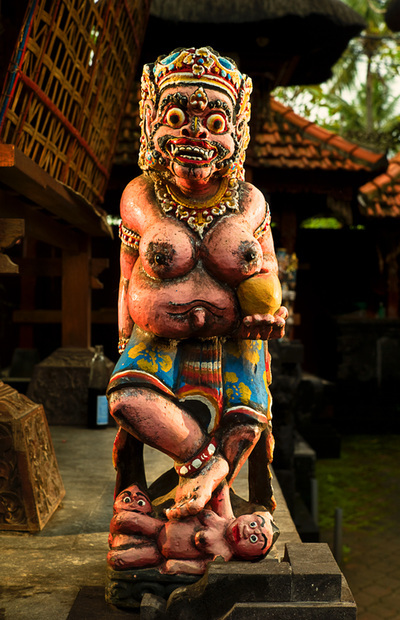 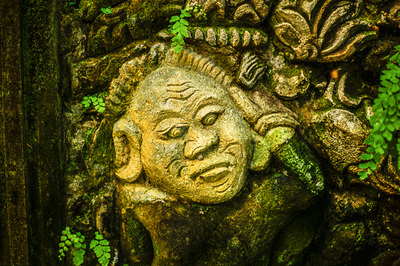 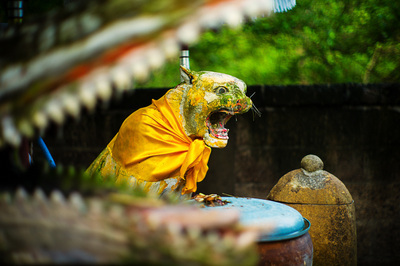 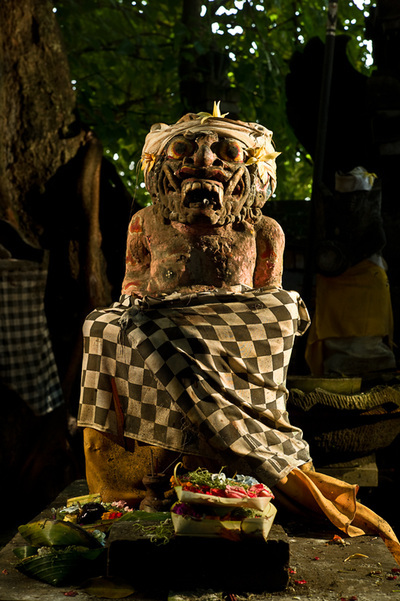 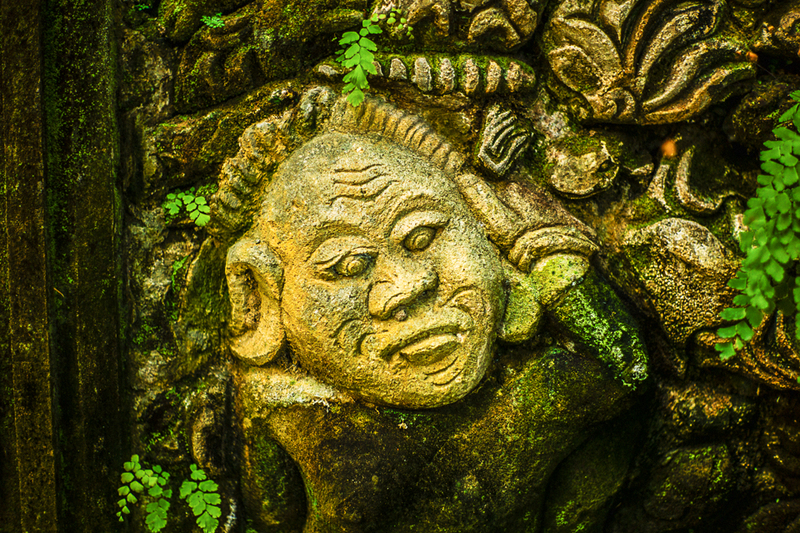 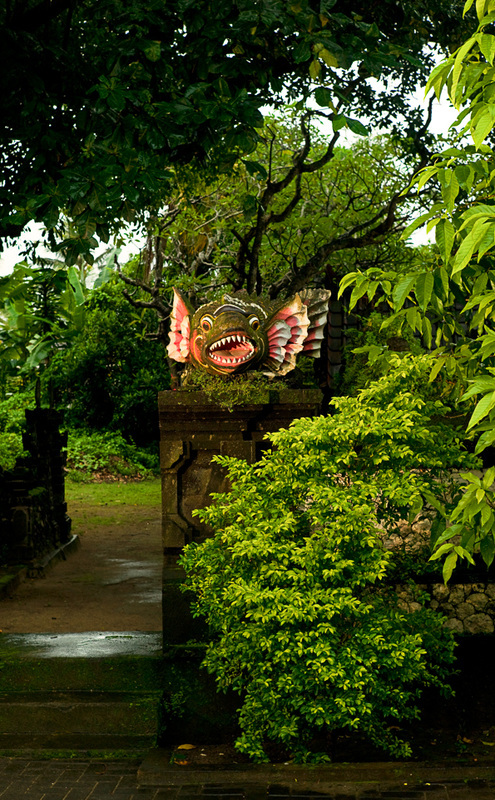 I walked into but a few of these Balinese temples and came across what I think is a hidden treasure of Balinese artistry. 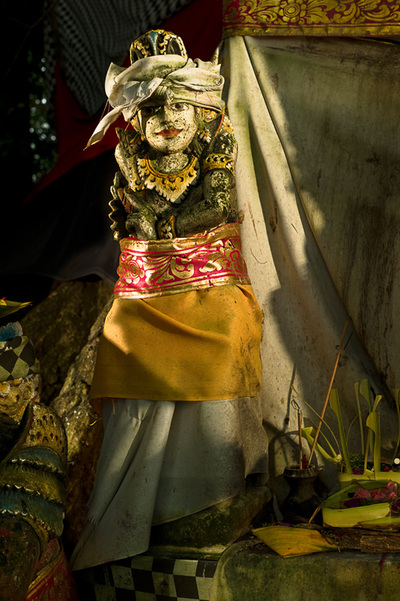 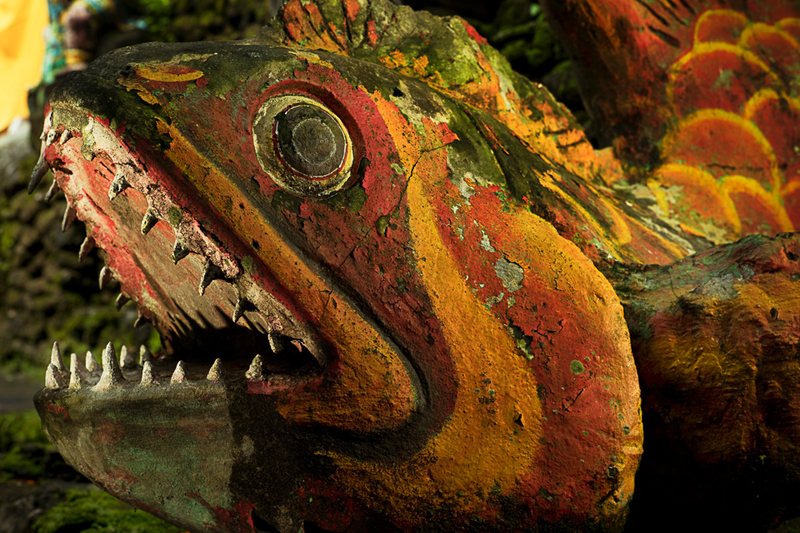 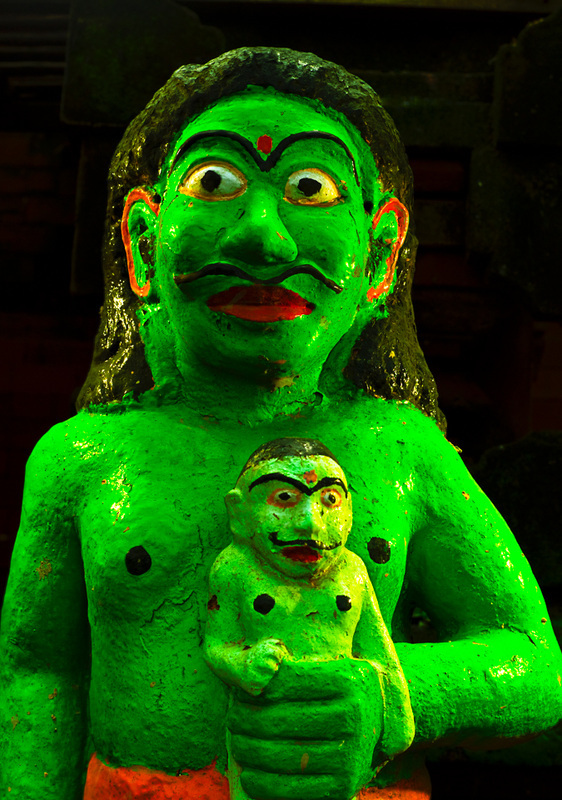 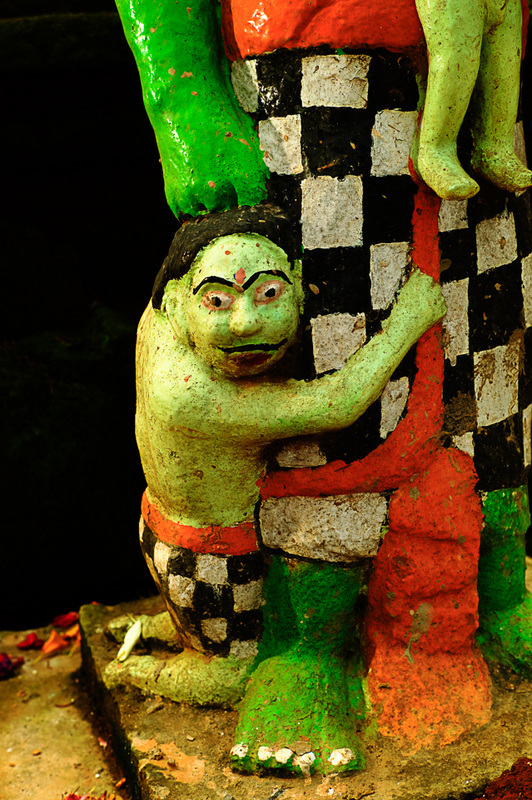 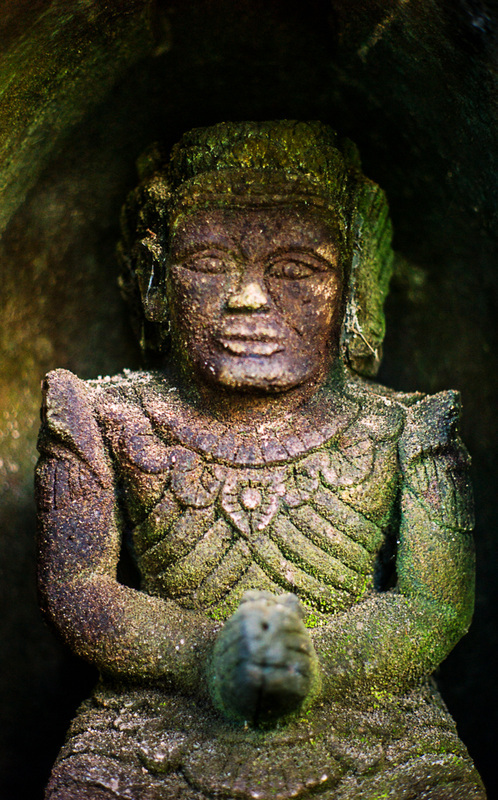 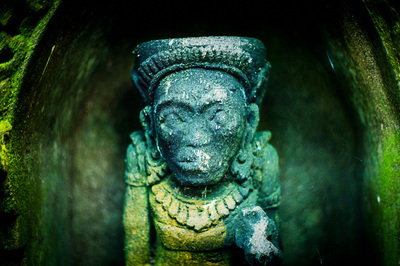 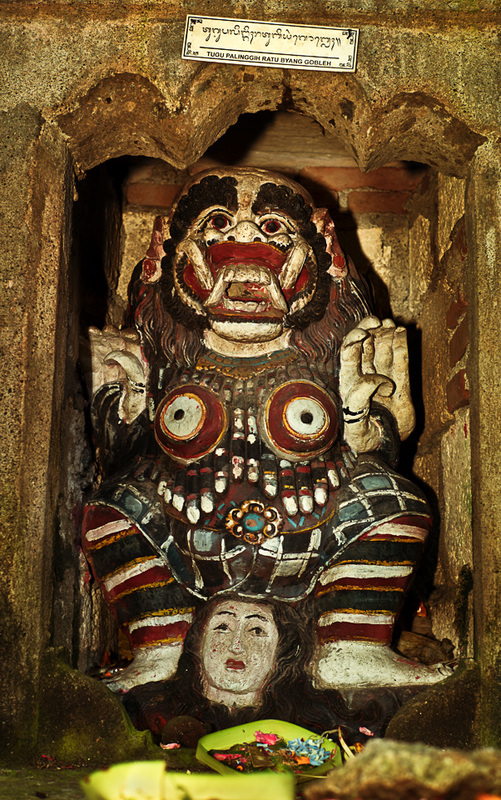 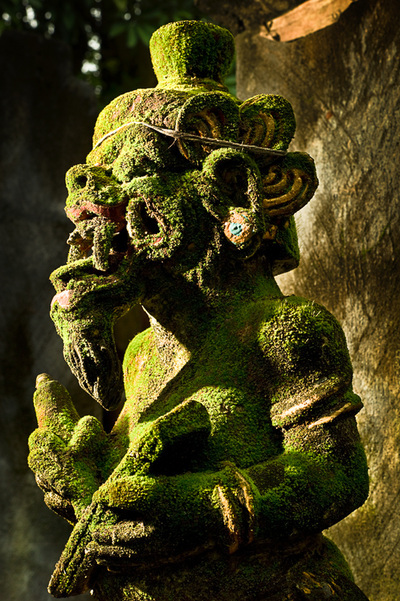 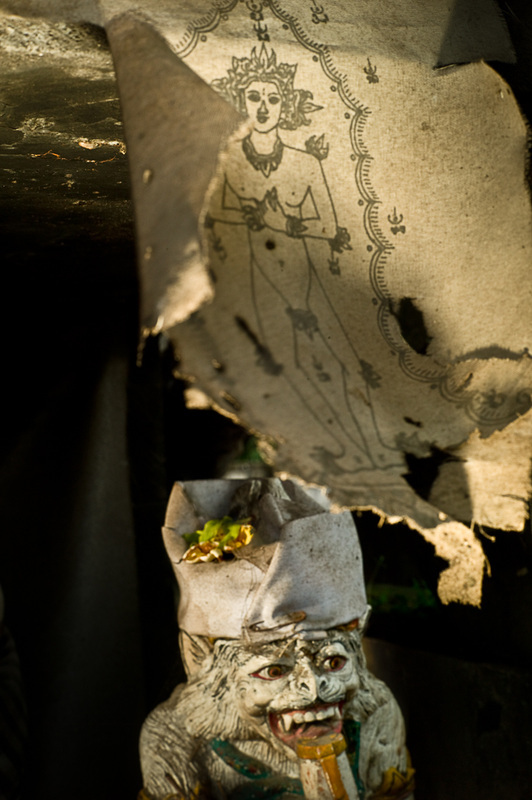 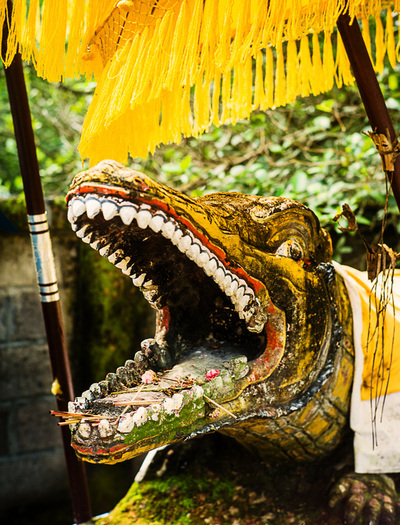 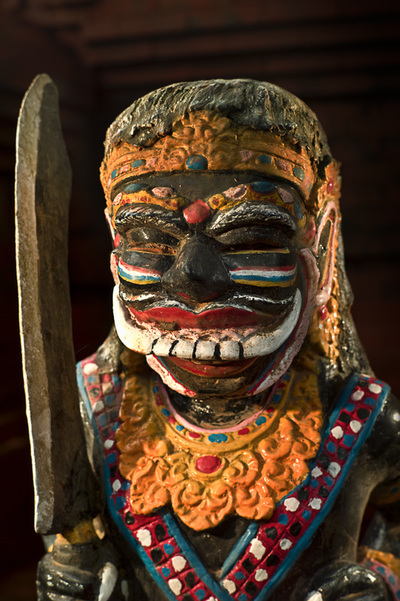 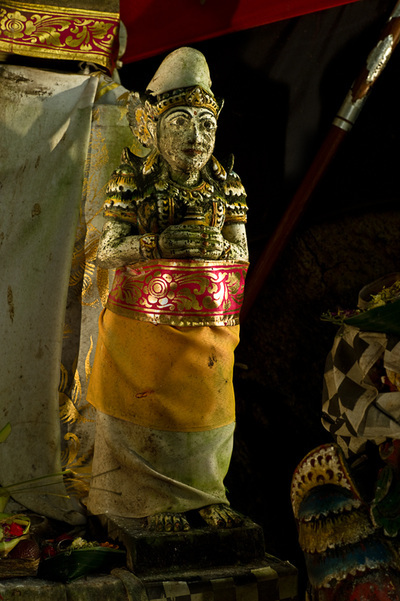 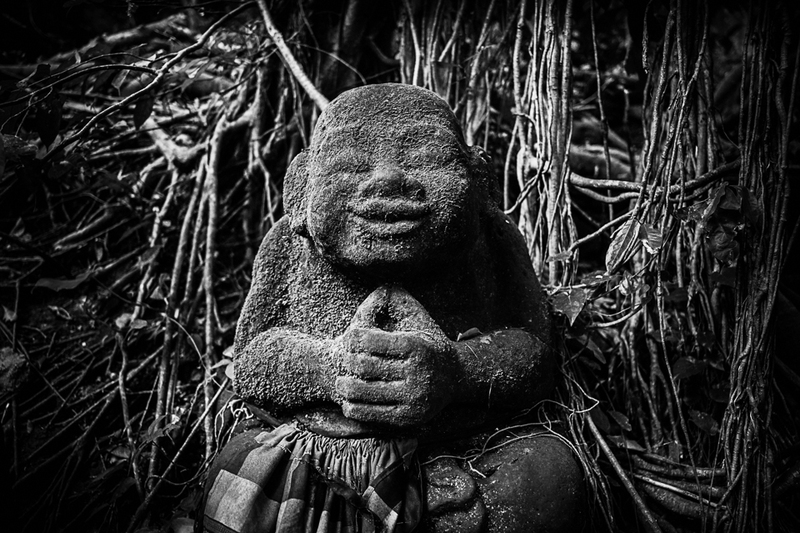 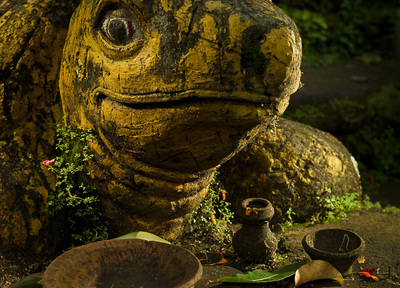 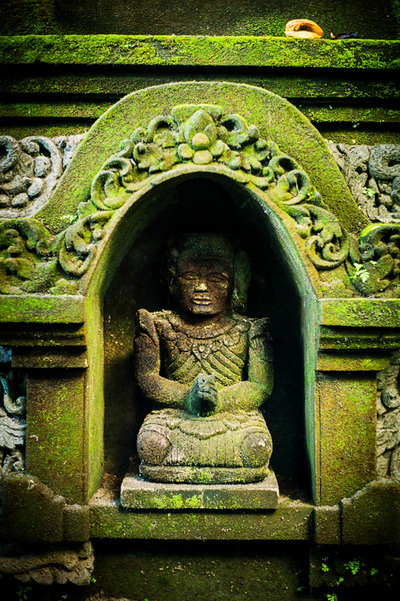 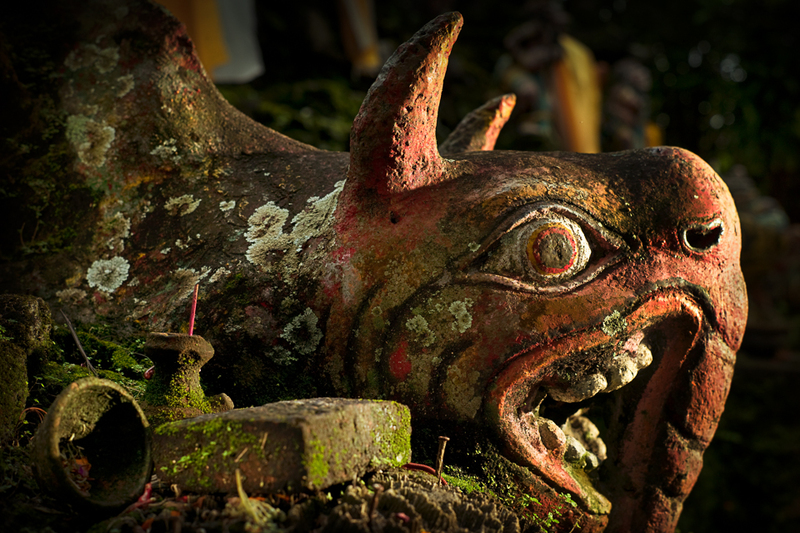 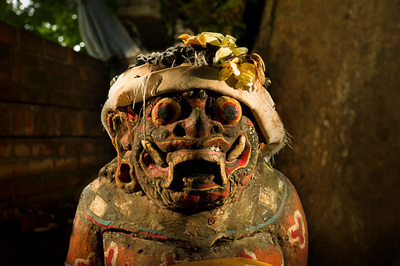 Many of these statues are decades old; most of them carry magical and spiritual power. 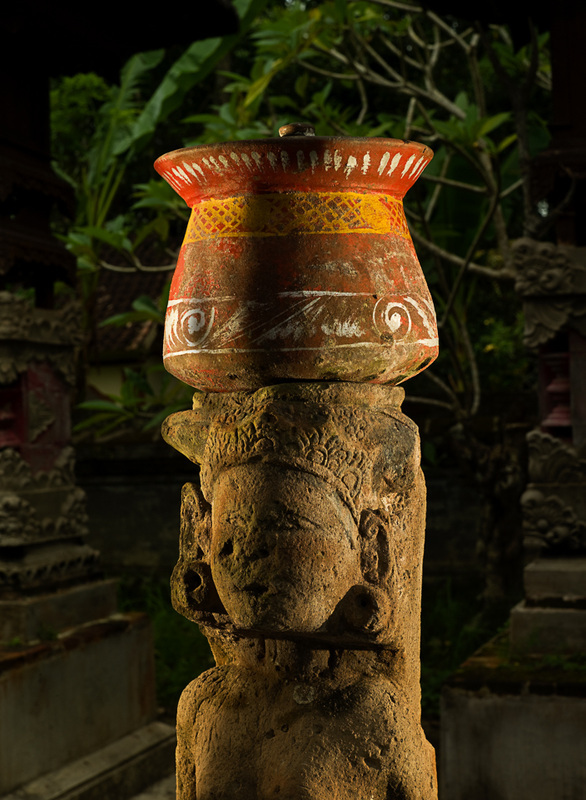 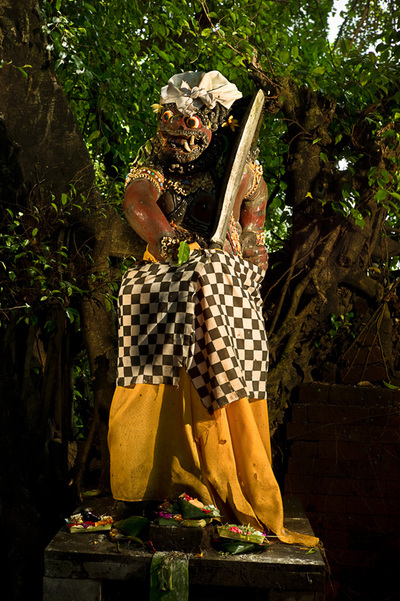 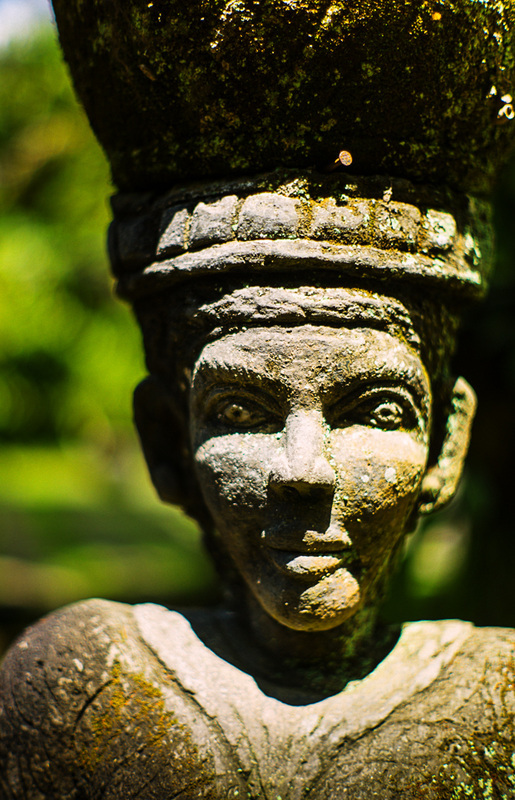 To bring out the details and the colors of these statues, I lit them using 2 or 3 off camera flashes.